I’ve Been in a Car Accident: Do I Have a Good Case? If you’ve been injured in car accident in upstate New York, you might wonder whether you have a strong legal case against the other driver. It’s a good question: even if the accident wasn’t your fault, certain elements must be present to successfully sue the other driver. Here are the elements that make up a strong case. Under New York’s no-fault statute, your insurance company is required to pay up to $50,000 for accident-related medical expenses, lost wages, and other costs, regardless of who caused the accident. This means that you can only sue the other driver in the accident if your financial damages exceed $50,000. A medically determined, non-permanent injury that injuries or impairments that significantly prevents you from performing substantially all the material acts that constitutes your usual daily activities for not less than 90 days of the 180 days following the accident. Without a “serious” injury, you will not be entitled to seek damages for pain and suffering, or loss of enjoyment of life. To recover damages, you must show that the other driver acted negligently and was liable (responsible) for the accident. For example, if the driver sped through a red light and crashed into your vehicle’s side as you were lawfully proceeding on a green light, it shouldn’t been too difficult to prove that the other driver was responsible for the accident. Unfortunately, proving liability in most car accidents are not as clear-cut as in the above example. Often, both parties claim that they were proceeding lawfully and the other party was in the wrong. Or your own actions might have contributed to the accident (e.g., you were talking on the phone or sending a text at the time of the accident). When there is dispute as to liability, there will have to be thorough investigation of the facts. But under New York’s pure comparative negligence rule, you may be able to recover financially even if you were 99% at fault and the other driver only 1%. Your award will be reduced, however, by the percentage you contributed to the accident. You must file suit within three years from the date of the injury. Under New York law, the statue of limitations for injuries arising from car accidents is usually three years from either the date of the injury or date of discovery of the injury. If the other driver was operating a state or municipal vehicle, however, there is a 90-day notice of claim requirement. This means that you have 90-days from the date of the incident to notify the state or municipality that you have a claim. 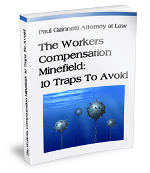 If you fail to submit the notice within the 90 day limit, you are barred filing a lawsuit. If you have met each of three elements, you likely have a strong case against the other driver. If you’re lacking one of the three elements, you should speak to a qualified Albany lawyer to determine whether you have any grounds on which to proceed with a claim. 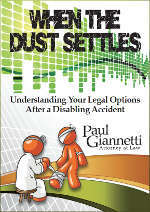 Feel free to contact Paul Giannetti today at (866) 868-2960 with any questions about your car accident.